Staying in shape is always important no matter how old you are. But as we age we tend to undergo a lot of changes and something that was fine yesterday may be impossible today. The very same goes for working out as well. When we are getting older some processes slow down and some change at all. That is why it is highly important to keep in in mind if you wish to look great when you are forty, fifty, and ninety and so on. That is why we have to take all the pros and cons of being a forty-year-old woman and come up with a nice conclusion. 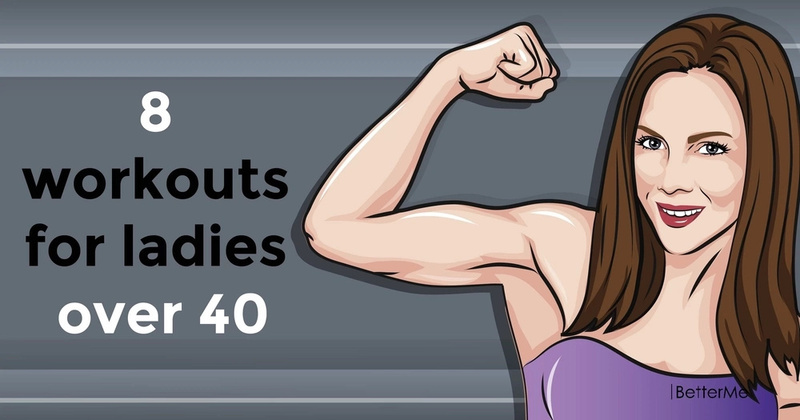 There is a set of eight exercises that you need to get used to once you turn forty. They are all pretty basic at the core, but the effect they will have on your body will be tremendous. Like any other kind of workout, it is going to take some time to get used to it and to get a grasp of all the exercises since as you may already know it is very important to carry out the exercise correctly. Apart from exercising, you should not forget about your diet as well. We are not trying to tell you to restrict yourself on everything, but you should pay attention to the quality and the quantity of everything, not to mention that all the junk food should be ignored or allowed on special occasion only. Once you turn these rules into your habit, there will be nothing to worry about when it comes to your figure!